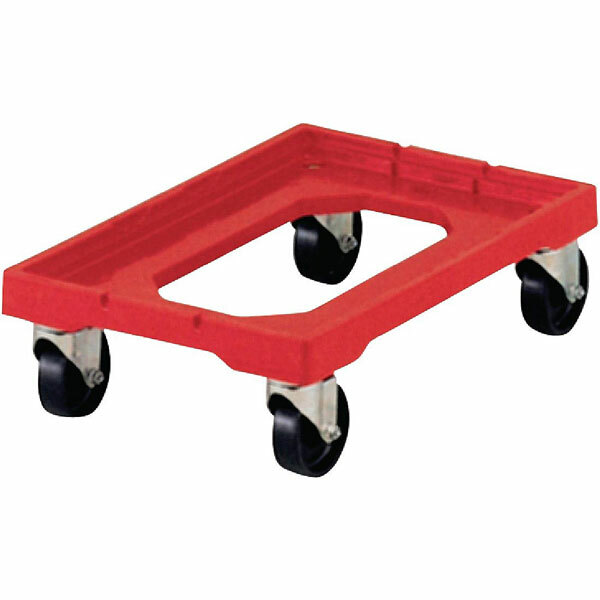 Light, robust and easily manoeuvrable dolly with swivel castors for safely and efficiently moving crates, trays and boxes. Rim around the trolley edge ensures safe and secure stacking of most 600 x 400mm containers. Delivery on this item is 5-7 days. Dimensions : 162(h) x 402(w) x 604(l)mm.